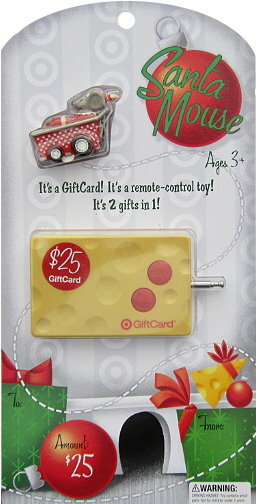 Would love to win this…Its so adorable and I love Target giftcards too! Gift cards are always welcome in this household! I like Totally Target on fb! Totally love target and all your amazing posts and deals. Things are tight right now and would have never been able to get through the last two years with out this blog and others. I was able to also donate several games to a shelter today because of you. i LOVE THIS SITE AND FACEBOOK! Love Totally Target!!!!! Always has great deals!!! Super cute, would love to win this one. How cut is that – I would love to win! love, love, love your site + thx for all the hard work – also liked on facebook – thx! please, pick me, pick me! This looks so cool. I hope I get it. I could really use that giftcard! I like Totally Target on Facebook. Thank you so much for your generosity! =) I love all that you do! Love the site. Would love to win the card! That is a cute gift card! Great prize! I would love to win! Great giveaway – my 3 yr old would love this one! I hope I win! Love Target! What a cool GC, I’ve never seen that one! Thanks for the give away!! I already like Totally Target! The gift card is so cute! I’m a Totally Target FB fan. I liked you on Facebook. Please enter me in your giveaway. Thank you. I like you on Facebook!!!!! Would really come in handy.